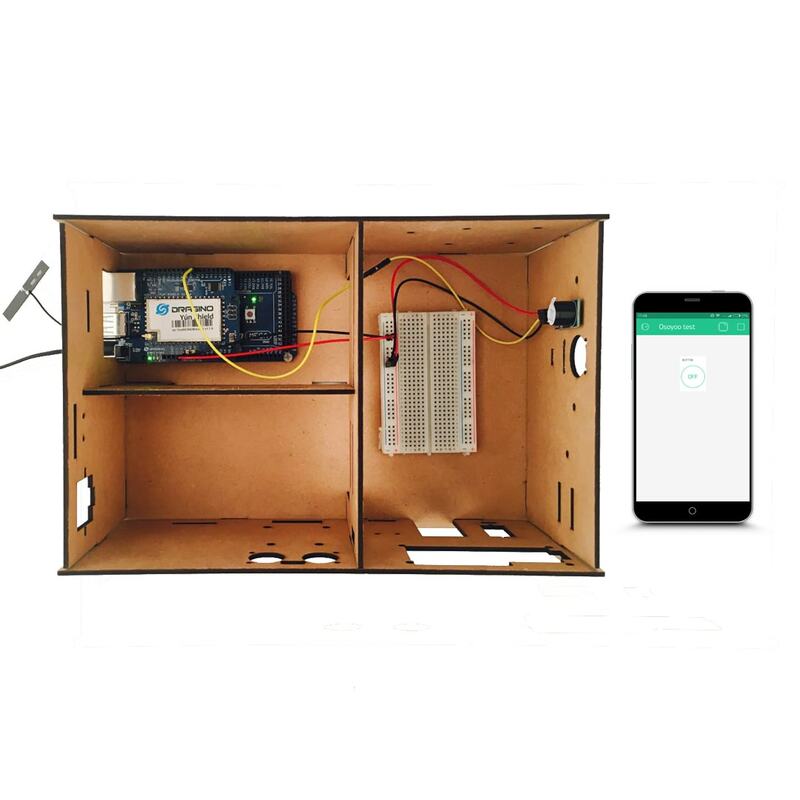 In this lesson, we will show how to use the Osoyoo Yun IoT Kit with the Blynk APP to remote control a buzzer. Here we connect the buzzer i/o pin to digital pin D7. 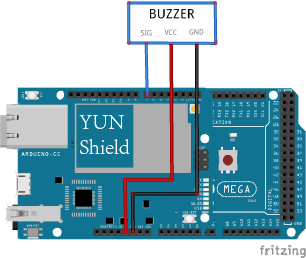 Your project canvas is empty, let’s add a button to control the buzzer. The most important parameter to set is PIN . 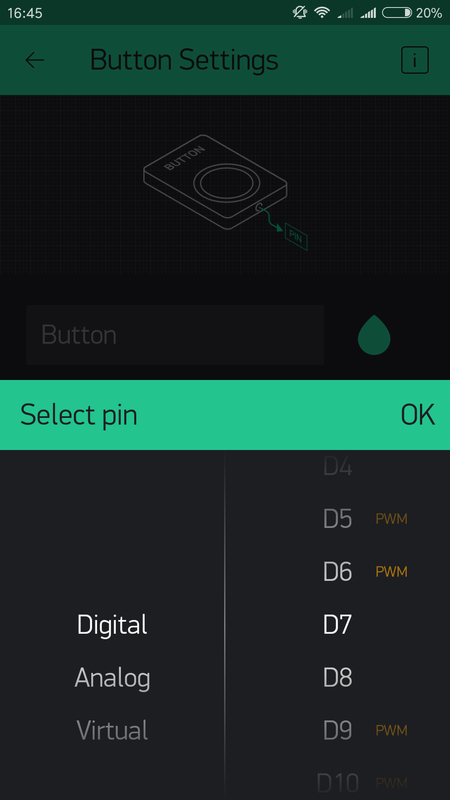 The list of pins reflects physical pins defined by your hardware. 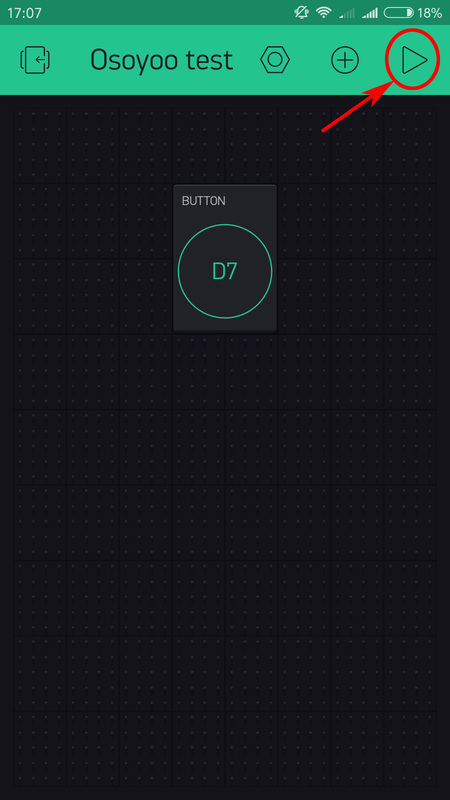 If your buzzer is connected to Digital Pin 7 – then select D7 (D – stands for Digital). At the same time, press the button, you can hear the buzeer beep.